Marissa Orr, Facebook and Google veteran, explains why our efforts to close the gender gap have failed and posits that overhauling the business world's paradigm of a "successful leader" will result in greater diversity in corporate leadership and foster healthier work environments for both women and men. Based on in-depth research and eye-opening personal experiences, author and tech industry veteran Marissa Orr explains why our pursuit to close the gender gap has come at the expense of female well-being and posits that overhauling the business world's paradigm of a "successful leader" will lead to greater diversity in corporate leadership and foster healthier work environments for both women and men. After Orr, a single mother of three, spent fifteen years working at today's top tech giants like Facebook and Google, she became frustrated with the companies' efforts to promote more women. The lectures, workshops, and trainings delivered the subtle message that success requires adopting the behavior of her male colleagues. Orr realized that closing the gender gap in corporate America won't improve women's lives, because the goal stems from a male worldview, built on the premise of female inferiority--and that's why the numbers at the top have barely budged, despite thirty years of trying. Solving the problem won't necessarily create more female-friendly corporate environments, and the process requires women to sacrifice their well-being. Suspecting that many women around her felt the same, she wrote a series of lectures encouraging women to define success on their own terms. She quickly discovered that her revolutionary message resonates with women, as her workshop attendance exploded 1,500 percent over the course of a single year. Lean Out offers contrarian, often humorous insights to this critical global dialogue and provides a pathway for both individuals and companies to promote a more inclusive workplace that benefits all employees. 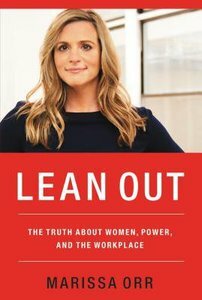 About "Lean Out: The Truth About Women, Power, and the Workplace"